Brief history of the laboratory. 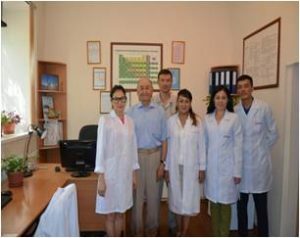 In April 2012, a group of hydrochemists was created as part of the hydrology laboratory of the Department of Water problems. 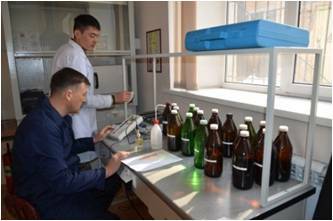 In 2013, founded the Chemical-analytical space, the installation of devices and necessary expeditionary equipment continued in 2014 Nov 25, 2014 by order №22-P a laboratory "Hydrochemistry and environmental toxicology". 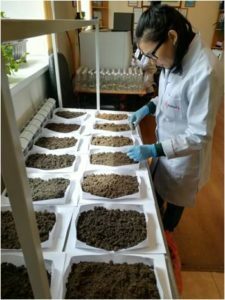 The laboratory has successfully passed recertification by Almaty branch of JSC "national center of expertise and certification" of RK (certificate №01/18 dated January 15, 2018). 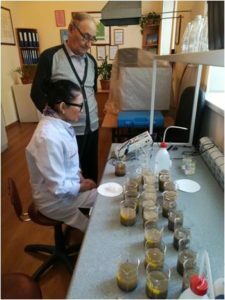 The laboratory has A state license to perform research and services in the field of environmental protection №01538R from 22.12.2007 (doctor of science, Professor N. Ah. 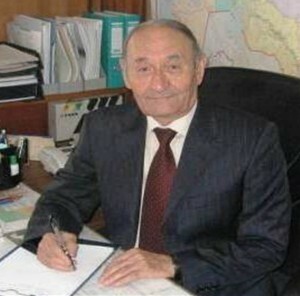 Amirgaliev). The laboratory is certified for the right to conduct chemical and toxicological studies of natural water, fish, soil, sediments and precipitation. 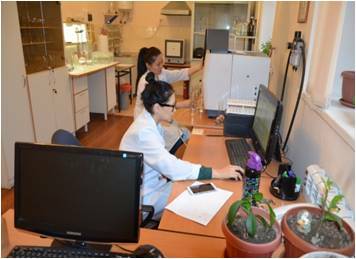 issuance of the results of chemical and toxicological analyses with the assessment of their compliance with the current environmental and sanitary standards. 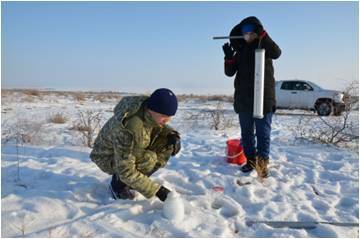 Investigation of the chemical composition of precipitation and accumulation of pollutants in the snow cover. 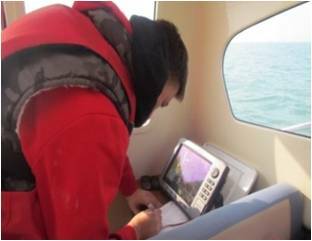 Lowrance HDS-10 echo sounder (USA) is a multifunctional device for echolocation, positioning and structural scanning (LLS-3). 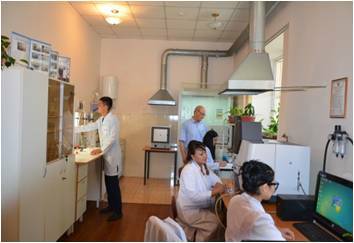 The laboratory uses the devices registered in the ICG RK, the updated normative documents of the RK, Standards and applications. Personnel: the laboratory has 8 employees: 1 doctor of geographical Sciences, Professor, 1 PhD, 1 candidates of Sciences, 1 researcher, 4 Junior researchers. The available Bank of hydrological and hydrochemical data, scientific and applied developments, availability of qualified specialists, modern devices and equipment allow to carry out a wide range of physical and chemical research in the field of hydrochemistry and environmental toxicology. Amirgaliyev Man-made water bodies of the Northern and Central Kazakhstan (Hydrochemistry and water quality) // «Bastau», – Almaty, 1999. 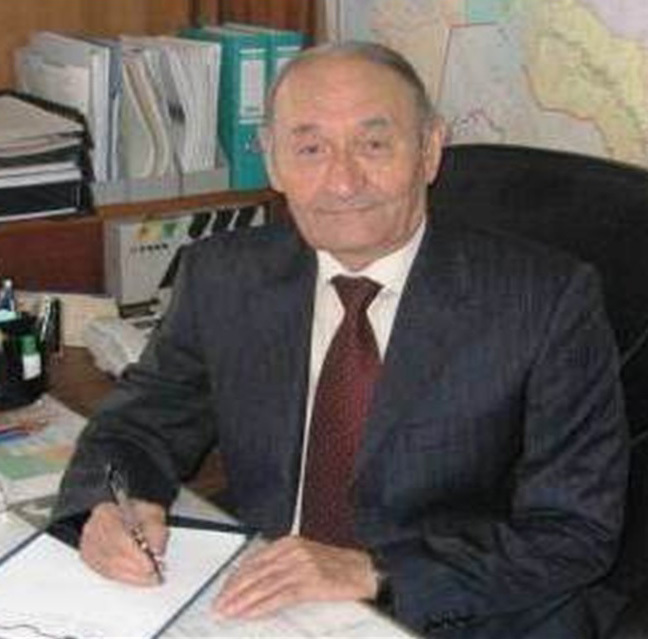 – 191 p.
Amirgaliyev Aral and Syrdariya basin: hydrochemistry and issues of water toxicology // «Bastau», – Almaty, 2007. – 224 p.
Amirgaliyev, S. Timirkhanov, Sh. 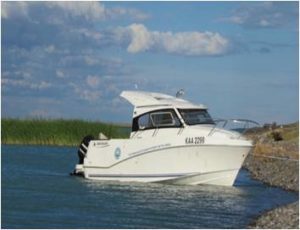 Alpeisov Ichthyofauna of Alakol lake system // «Bastau», – Almaty, 2006. – 367 p.
Amirgaliyev, S. Timirkhanov, K. Isbekov Water resources of Kazakhstan: assessment, forecast, management Vol. XIV) // – Karaganda: printing house «ARKO», 2012. 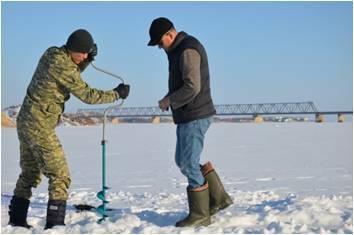 – 667 p.
Burlibaev, N. Amirgaliyev, E. Murtazin Guidelines on the organization and operation of the subsystem for monitoring the conditions of transboundary surface waters in Kazakhstan // Approved by order №152 MERK in 11.05.2012 . – Astana, 2012. – 138 p.
Burlibaev, N. Amirgaliyev, E. Murtazin I. Shenberger Dynamic mode hydrochemical and toxicological parameters of transboundary river Irtysh and the nature of their transformation // «Water management in Kazakhstan». – 2012. – №12 (50), – P. 9-20. 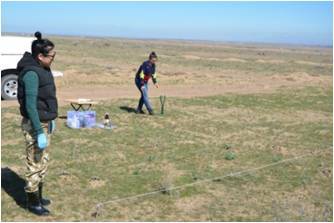 Burlibaev, N. Amirgaliyev, I. Shenberger On some problems of the modern transformation of the hydrochemical regime and toxicological parameters of cross-border flow of the Syrdarya river // «Water resources and water use (VRV)». – 2013. 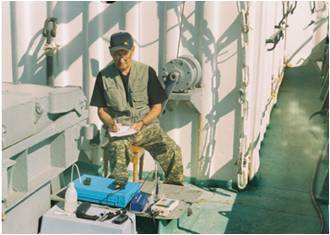 – №3 (10). – P. 35-48. Amirgaliyev About condition of researches in the Republic of Kazakhstan in the field of aquatic toxicology // «KazNAEN Herald». – Astana, 2013. – №4. – P. 109-113. 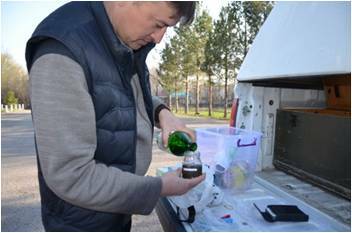 Amirgaliyev Polychlorinated biphenyls in water Balkhash Lake and the rivers flowing into it // «Water: chemistry and ecology». – Moscow, 2014. – №9. – P. 101-105. Ismukhanova, N. Amirgaliyev, K. Bektursunov Monitoring quality parameters of the transboundary outflow in the River Ili // “Proceedings of the IWA 6th Eastern Meets West”. (28-30 May 2014; Istanbul), European Young Water Professionals Conference “EAST”. – Istanbul, 2014. – Р. 132-137. 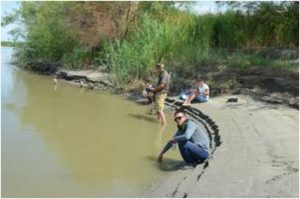 Burlibaev, N. Amirgaliyev, I. Shenberger Issues of pollution of transboundary rivers in Kazakhstan main. – Almaty «Kaganat» press, 2014. – Tom 1. 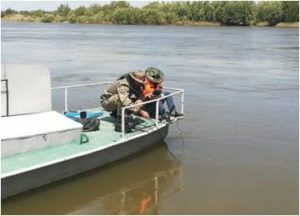 – 742 p.
N. Amirgaliyev, L. Ismukhanova, K. Bektursunov, R. Kulbekova The study of heavy metals depending on the mode of water flow in the cross-border area of the Ili River // “Issues of Geography and Geoecology”, – Almaty, 2015. – №2. – P. 9-14. 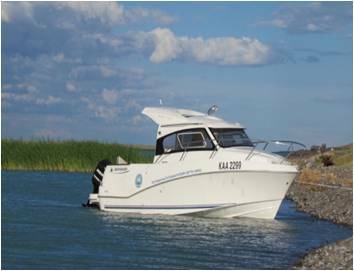 M. Burlibaev, E. Tursunov, A. Bazhieva and other Globally significant wetlands of Kazakhstan (Alakol-Sasykkol Lake system). – Astana, 2007. – 271 p.
E. Tursunov, A. Bazhieva Small lakes of Shchuchinsk-Borovoye resort area. Environment issues and their decision // Hydrometeorology and ecology. – 2013. – № 2. – P. 172-176. E. Tursunov, A. Madibekov, K. Kulebaev Modern morphometric characteristics of Balkhash Lake // «Scientific Notes RGMU», a special edition dedicated to the 80th anniversary of prof. A. Doganovski. 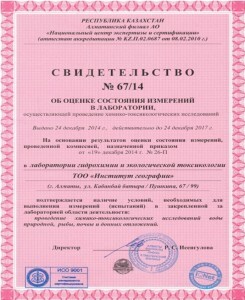 – 2014. – P. 43-48. 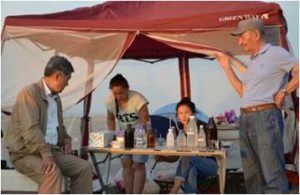 E. Tursunov, A. Madibekov, С. Ranova Comparison of morphometric characteristics of Kapchagai reservoir // Proceedings of the International Conference «Remote and terrestrial Earth exploration in Central Asia». 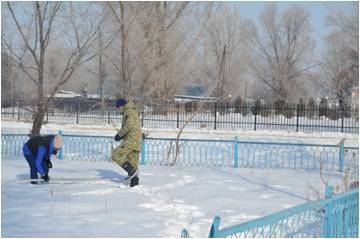 – Bishkek, 2014. – P. 453-456. A. Bazhieva Hydrochemical and hydrological regimes contact of Shu river // «Hydrometeorology and ecology». – 2014. – №4. – P. 84-90. E. Tursunov, A. Madibekov, A. Bazhieva Balkhash lake bathymetric investigations results // 6thIWA YWP European Water Professionals Conference «EAST meets WEST». 28-30 May 2014, – Istanbul, 2014. – P.339-343. A. Madibekov, V. Cherednichenko, A. Cherednichenko, A. Nyssanbaeva, А. Zhumalipov Heavy metal content in the snow cover in the Republic of Kazakhstan // Advances in Environmental Biology. – 2014. – P. 1393-1398. 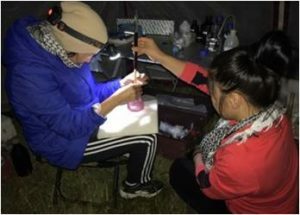 A. Madibekov, A. Bazhieva, S. Alimkulov Climate changes and their influence to the river flow of the South and South-East part of Kazakhstan // Second International science conference “Climatology and Glaciology”, 2015 October 20-23. – Tomsk, 2015. – P.190-198. 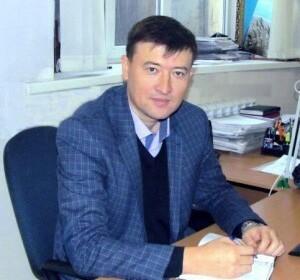 Myrzakhmetov A., Dostay Zh., Alimkulov S., Madibekov A. 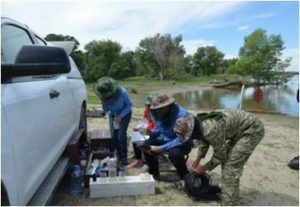 Level regime of Balkhash Lake as the indicator of the state of the environmental ecosystems of the region // International Journal of Advanced Research in Science, Engineering and Technology. – September 2017. – Issue 9. – Vol. 4. – Р. 4554-4563. N.A. Amirgaliev Persistent organic pollutants in river waters in the Ile-Balkhash basin // Materials of international scientific-practical conference "geo-systemic approach to the study of the natural environment of the Republic of Kazakhstan" on April 13-14 2018, Astana, 2018. - P. 22-26. The laboratory is developing a promising research direction to assess the impact on the ecosystem of the reservoirs of persistent man-made pollutants like polychlorinated biphenyls, heavy metals, and also an important area of hydrogeological characteristics in the formation and transformation of the composition of the waters of transboundary watercourses and ponds. 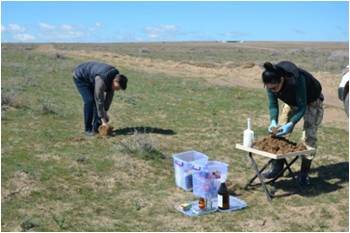 Work is underway to study the pollution of precipitation and snow cover. 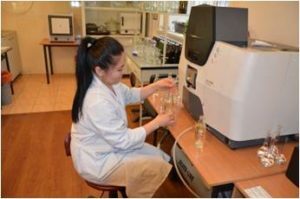 Expanding the scope of research in these areas will have an effect on the development of water toxicology in Kazakhstan. All topics developed in the laboratory are directly related to the expedition research, the basic information is obtained on the basis of in-situ observations on the water bodies of the country. 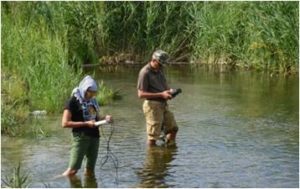 Expeditionary studies are carried out by the laboratory on all types of water bodies, special attention is paid to the observation of transboundary rivers for the quantitative assessment of the inflow of toxic compounds, including persistent organic pollutants.